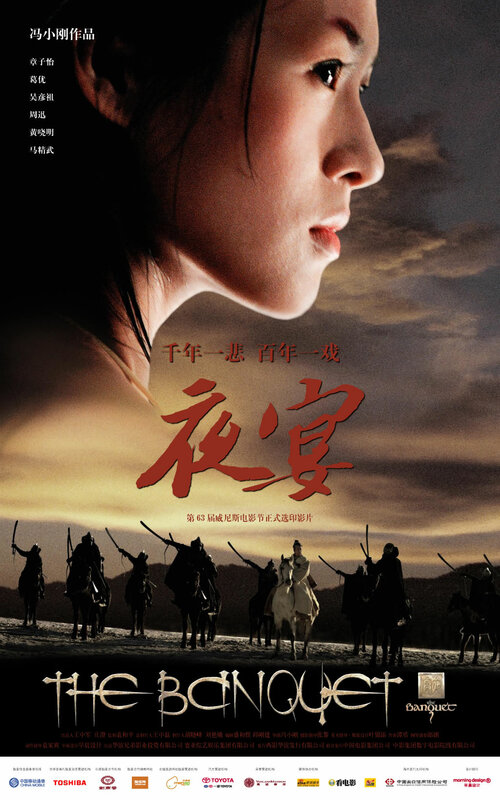 The Banquet <夜宴>, this movie going to release in Singapore & China on 15th September 2006 & Korea on 21st September 2006. 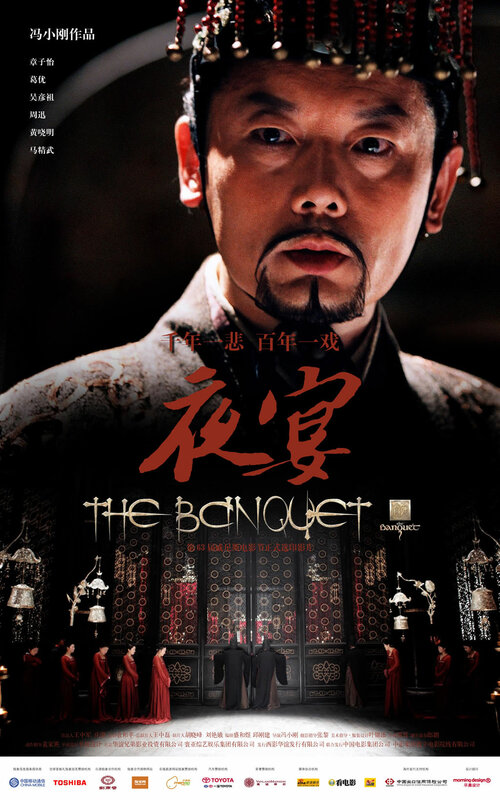 The Banquet, historical drama. Is a loose, lavish transposition of Shakespeare’s Hamlet to China circa in the period of Five Dynasties and Ten Kingdoms. A falling empire, the Emperor, the Empress, the Crown Prince, the Princess, the Minister and the General all have their own quests for the ultimate power. Zhang Ziyi plays the widowed Empress, who marries the new Emperor (Ge You) only to protect herself, but also secretly plots his death with the help of the Crown Prince (Daniel Wu) and the Chief Minister (Ma Jingwu). The Empress set up a secret coalition with the Princess and the Minister in attempt to take the throne for the Crown Prince, but her real goal is to take the power for herself, and the Crown Prince wants to use the Empress’ plan for his own quest for the throne. The conflicts finally erupt at a night banquet, at which the Empress starts executing her plan of killing the Emperor and the Crown Prince takes the opportunity to finish off his own enemies. Find more on the "Making Of" video click and related photo. This entry was posted on Tuesday, September 12th, 2006 at 10:14 pm	and is filed under Movie Trailer. You can leave a response, or trackback from your own site. One Response to "The Banquet "